Good Morning, friends! 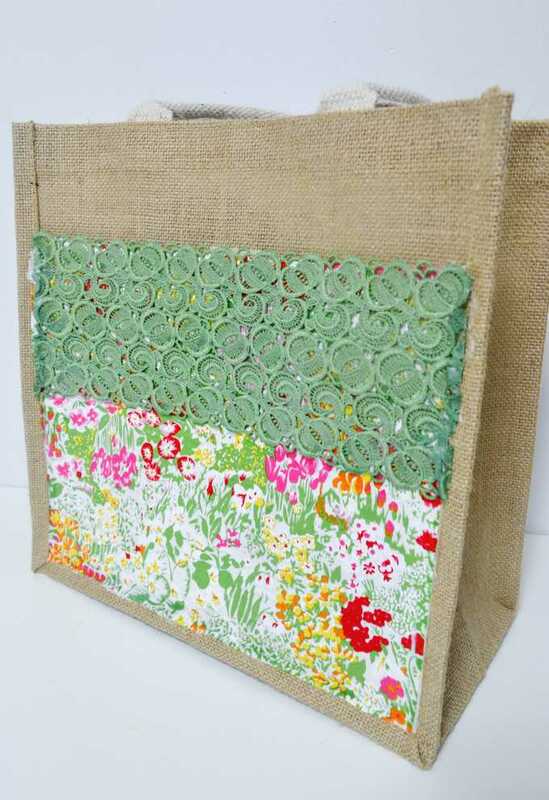 I’m so excited to share this easy Mod Podge Tote with you all! This tote is perfect for errands around town, a library bag, or even a pool or beach bag! Step 1: Gather your supplies and cut a piece of fabric to fit the front of your tote. 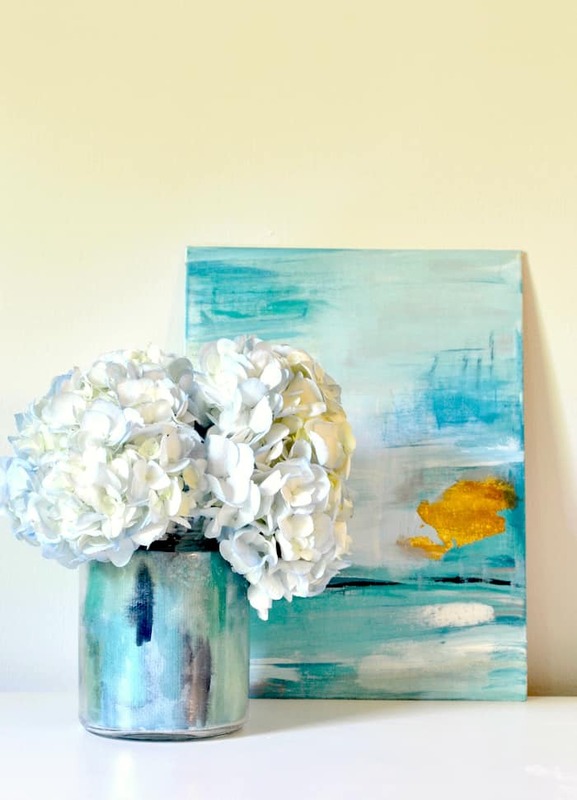 I found this tote for under $6 at Hobby Lobby, but use whatever you can find…this is the perfect project for thrifted or inexpensive pieces. 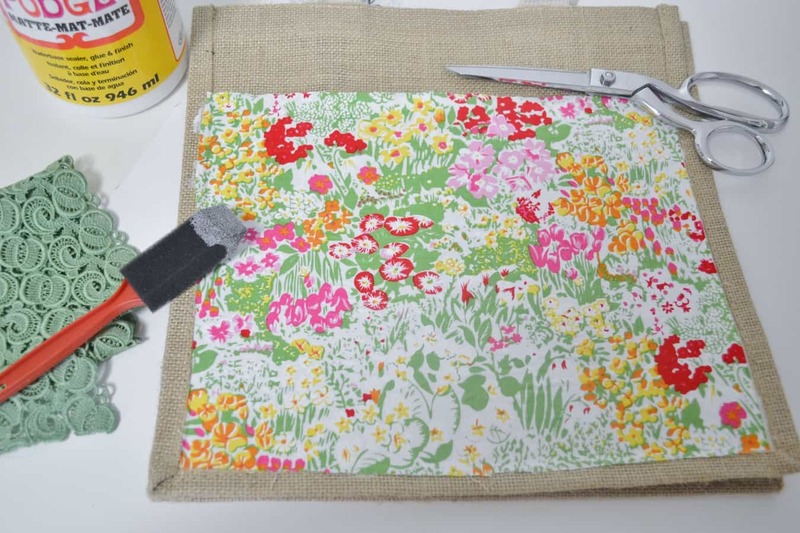 This technique would also work well on cosmetic cases, wine bags, and even clutches or wallets! Step 2: Using your Mod Podge, decoupage your fabric to your bag, and let it dry completely. 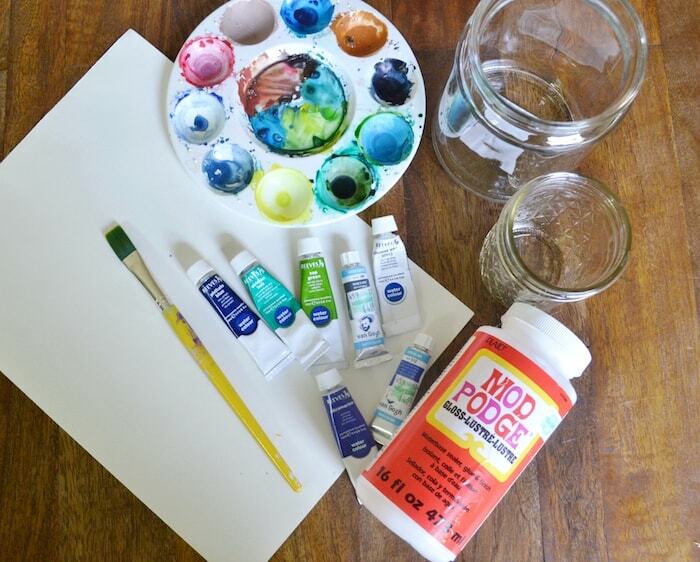 When I was getting ready to create this project, I realized my Fabric Mod Podge had dried up (oh no! ), so I used my Matte Mod Podge and honestly didn’t have any issues. 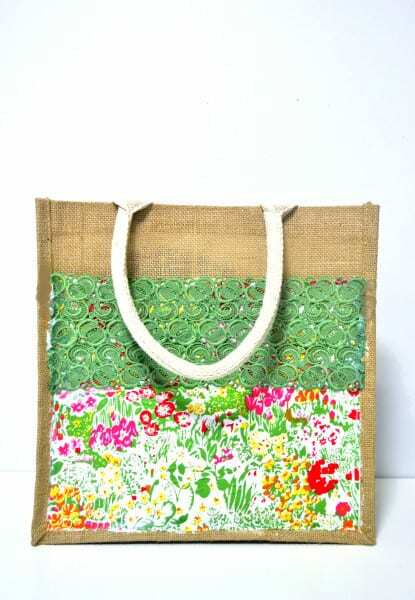 Step 3: Next, decoupage your lace trim to the top of your bag. If you don’t have any lace available, you can use ric rac, ribbon, or even just a contrasting piece of fabric…anything goes! I wanted the fabric to feel like fabric and not be too stiff, so I decided not to Mod Podge over top of the fabric and lace. This is just personal preference though; you can go either way! 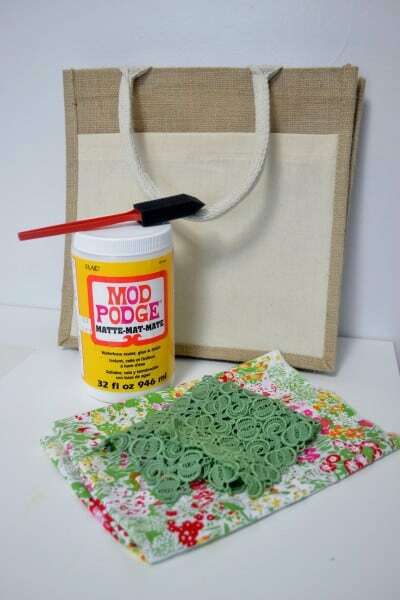 Thanks for reading all about how to mod podge a tote bag! Have a lovely day!